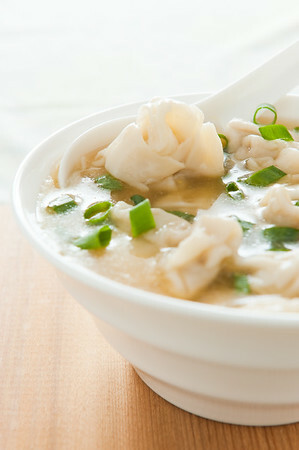 Wonton soup with spoon in a bowl. Traditional asian food. Shallow depth of field.